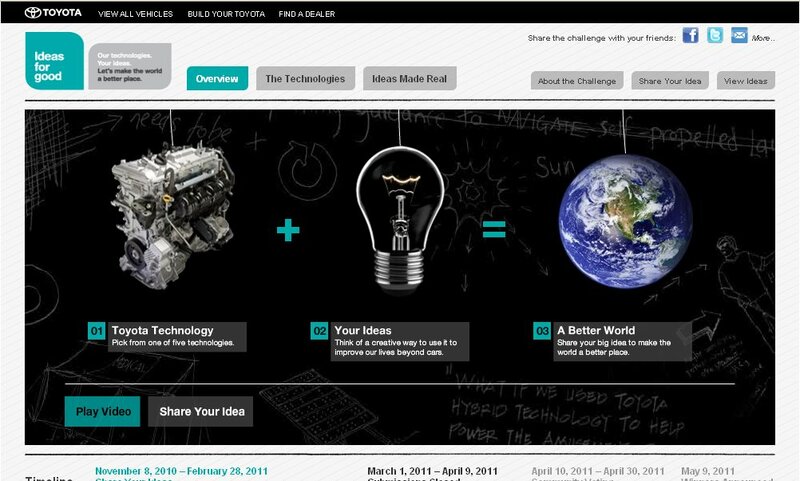 When I first caught the news of Toyota launching a new site called "Ideas for Good", I thought it was your typical request for consumer ideas much like My Starbucks Idea or Ford's Your Ideas. However, Toyota is taking an unusual, though complicated, twist on the concept. T.H.U.M.S. (Total HUman Model for Safety) is an advanced injury-simulation software that measures more than the conventional crash test dummy can. It's an interesting approach. 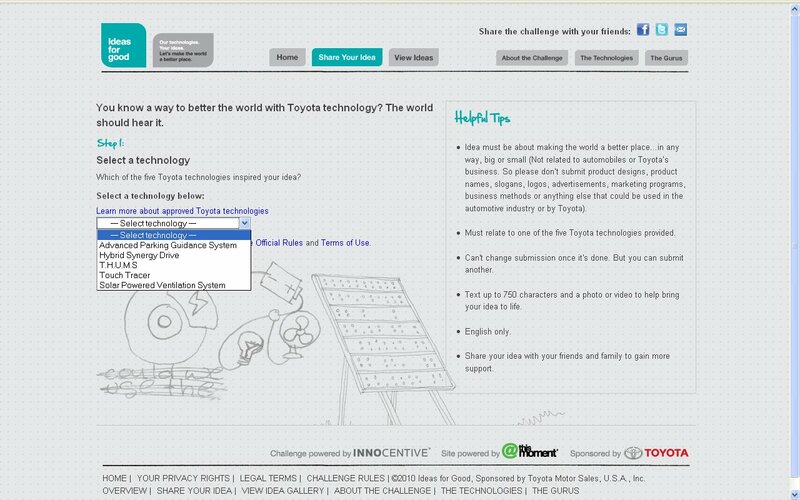 Here is a technology developed by Toyota now tell us what we should do with it beyond its original automotive application. So far there were no ideas posted on the site, but that probably has more to do with today being the first day of promoting the site. Toyota is promoting the ideas site using television ads which is also a different route than Ford, Starbucks and BestBuy who kept their idea sites to digital promotional channels, not TV.